For 10 years, in a research and development forest and wetland area we protect, we have observed natural processes that contribute to soil formation and plant growth. 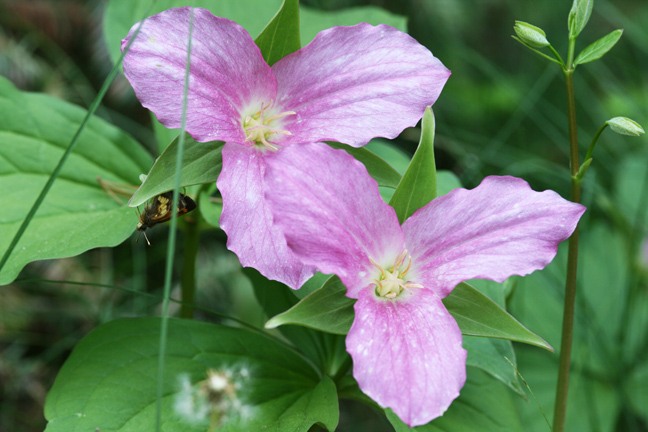 Purple Ontario trilliums grow wild at the entrance to the R & D facility. Fungi cover a fallen chestnut tree uprooted from the shallow soil depth during a gusty storm. Nature's Wood Chipper the Woodpecker from Global Repair on Vimeo. 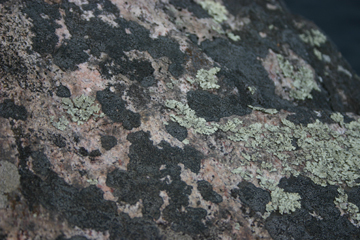 Rock surfaces are broken down by microbes and other natural phenomena. Organic material collects in crevices in the rocks. Microbes convert the organic matter to humus. 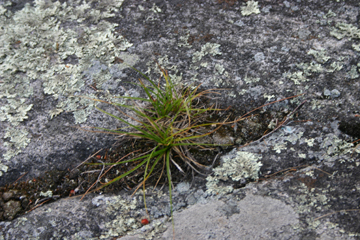 Plants start to appear in the crevices where the organic matter has accumulated. Microbes cluster around the roots zone of plants forming a symbiotic relationship. 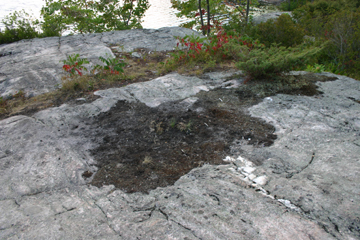 Plants excrete sugars and proteins and in return receive nutrients.The plant growth also contributes further to the breakdown of the parent rock material. Our forest floor is carpeted year round with layers of slow decomposing leaves that protect the delicate microbial growth below the surface. Unwanted UV light which can be harmful to soil microbes is naturally kept away. As a result of this natural layering structure, that allows natural air flow, aerobic conditions occur, causing microbes to flourish. This creates a natural sweet aroma that is pleasant and invigorating. The ground is thick and fibrous and drains efficiently due to the natural biomass absorption of precipitation. Although the soil depth on top of rock formation is less than 1 foot deep heavy rain is quickly absorbed. These beneficial aspects are part of the Natural Carbon Cycle which filters the air and water. Fungi flourish in most forests. 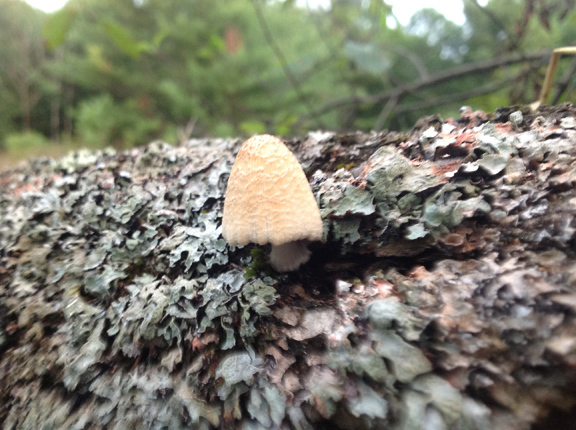 Fungi can be very beneficial for plants as they can act as root extensions and help plants attain nutrients. 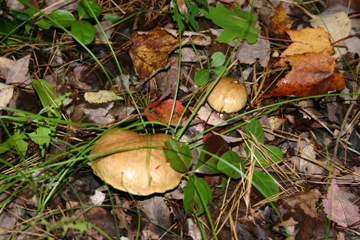 Fungi disappear soon after forested areas are cleared. 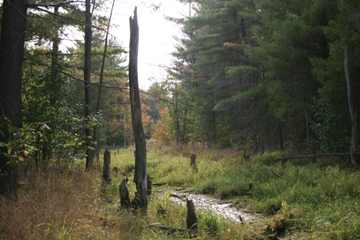 In this natural setting beavers have harvested wood for their dams. As the majority of the large limbs are left to naturally decompose they encourage fungal production within the forest and add fibre and many other nutrients back to the forest. Fungi soon start digesting a stump left by beavers. 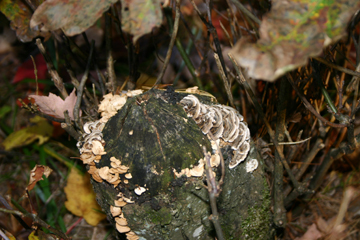 Fungi can be restored to farmland soil by paying special attention to the compost process and incorporating wood and other materials to the compost formula, indicating that eco-regeneration is a reality within everyones grasp. The compost fleece cover simulates the layer of leaves and debris in the forest. 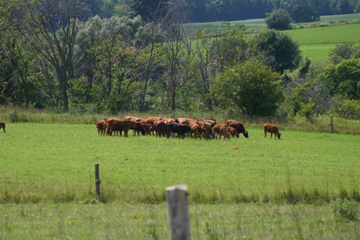 Cattle happily graze on fields immediately after they are treated with compost and minerals. 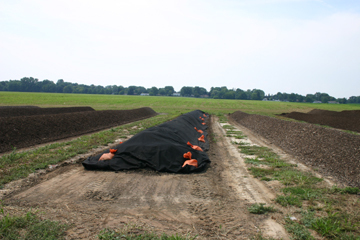 Adding compost and minerals induces significant yields and substantially reduces input costs. 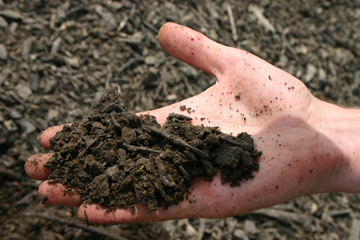 Many of our clients no longer see the need for additional nutrients when using quality compost. Minerals may be added to the compost with our specially formulated Compost Rock FlourTM, which also inoculates the compost with natural beneficial microbes. Bushels per acre have increased, crops are more resilient and produce quality improves. Forages treated with our compost provide extended grazing and more complete protein. Animals will also graze in areas recently treated with compost as opposed to manure. As a result of the moisture retention in the soil from compost applications, there is improved root structure, drought resistance and better grazing with less barren areas. Sittler manufacturing has been designing and building farm machinery for over 35 years. Quality, affordable craftsmanship with innovative design.